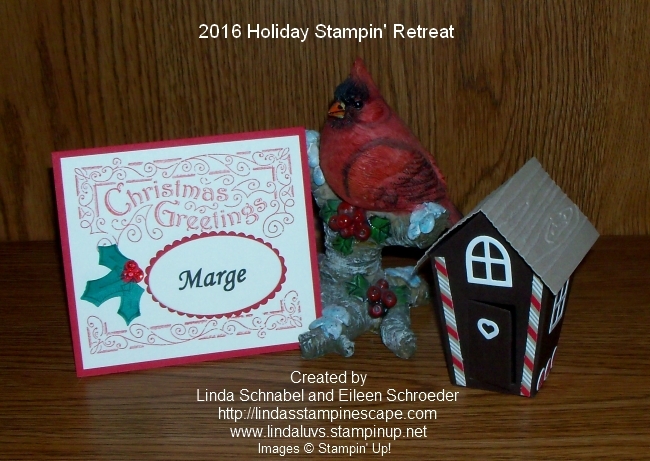 I am back from our Annual Holiday Stampin’ Retreat. Today I have a quick post for you to share how we welcome our stampin’ guests to the Holiday Retreat! Each of our guests has a “Name Tag” on their door that not only designates their room, but greets them as they come in. These would also make cute little place markers for a holiday dinner table. I used the “Father Christmas” stamp set from the Holiday Catalog. The stamp set already includes the frame that I used and also has a beautiful holly branch and Santa’s bag, so it will be very versatile in your cardmaking and / or scrapbooking. 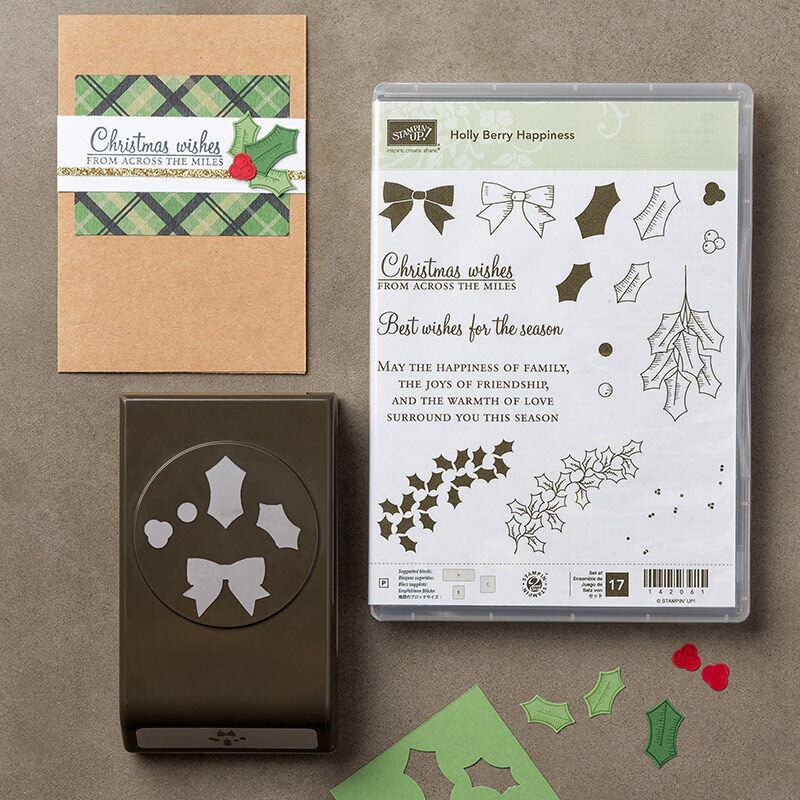 To add a pop of color to our tag, I grabbed my “Holly Berry Happiness” bundle and stamped some holly leaves and punched them out. I’ve used this stamp set many times already … the greetings and verses are awesome! The cute little houses were made from “Sweet Home” Bundle … I’ve seen the cutest houses made from this bundle that I just had to share with our guests. These little houses (and we had different styles & colors) adorned the mantle in the dining room. We wanted the retreat to feel warm and inviting as they entered. The fun part was that each guest got to pick out their favorite at the end of our retreat stay and take one home with them. It’s a token of our appreciation for being our guest and a little reminder of the fun we had this weekend and that Eileen and I are honored to share the “Holiday Retreat” home with such marvelous women. I’ll be sharing more about our retreat along with some photos of the awesome cards, both from the retreat and the swap cards! Let me say … these ladies are “very” talented! Thanks for stopping by today, and please join me tomorrow to see a little more about our retreat.